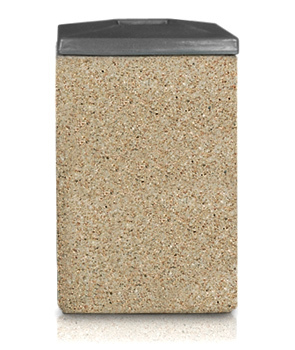 This concrete trash receptacle is extremely durable outdoors. Steel reinforced construction for maximum durability and minimum maintenance. The heavy weight deters theft and vandalism. 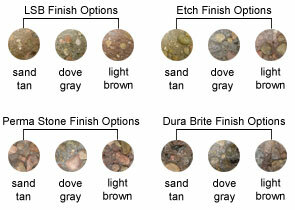 Available in many colors and finishes that blend well with the outdoor environment. Rigid plastic 22 gallon liner measures 14-1/2" Dia. x 30"H and is sold separately. Square plastic lid is included.